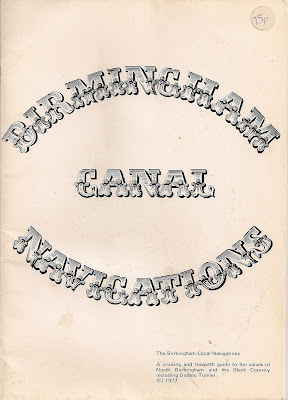 One of the benefits of being a exhibitor at canal festivals is the opportunity to scoot round before opening time and hoover up any tasty waterways linked morsels, like this publication from 1977. Its a well presented little booklet, aimed at encouraging boaters to explore the mysteries of the BCN. This account takes me back to the days I crossed the BCN with my parents in the late 1960's, and we would have been one of the crews Mr J B Phillips (President of the BCNS) hoped would stop and explore rather than making a mad dash from one side to the other, seeing the BCN as a necessary evil crossing the route to somewhere nicer. Obviously, the routes themselves are little changed but the surroundings are often unrecognisable after 35 years. Acres and acres of buildings have gone and whilst there are still industrial echoes here and there, the drums of industry beat more loudly back then. I particularly liked the centrefold map of the BCN, possibly one of the best I have seen if you want a reader to take in the entire network at a single glance. 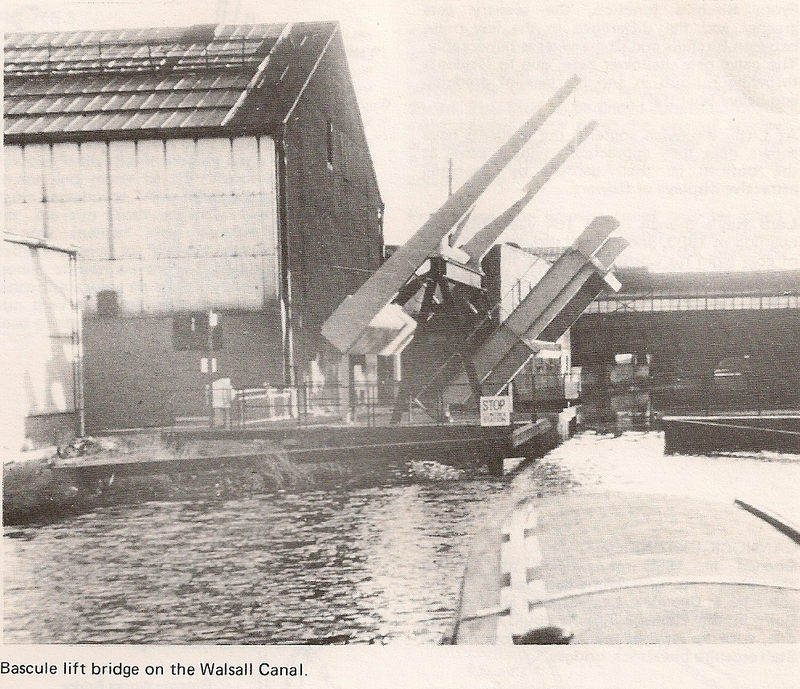 Then there are the evocative black and white photos, including the unusual bascule bridge whose foundations remain on the Walsall Canal, answering the question I have asked every time we pass by. Then there of the 1951 image of the venerable Spey, a wooden tanker operated by Thomas Clayton of Oldbury and a craft which remains operational and last sighted by Wand'ring Bark in Droitwich in July 2011. These period publications provide a good benchmark of distance travelled. 35 years of muddy water has flown sluggishly under the bridge since then and today I would have to say that the northern reaches of the BCN are now in better heart. Only today I received a copy of the BCNS's Boundary Post Magazine with letters praising the quality of the Wyrley and Essington and the improved state Wallsall Canal whose historical significance counteracts is lack of punch in the pretty stakes. Certainly worth its place in my collection of BCNalia. 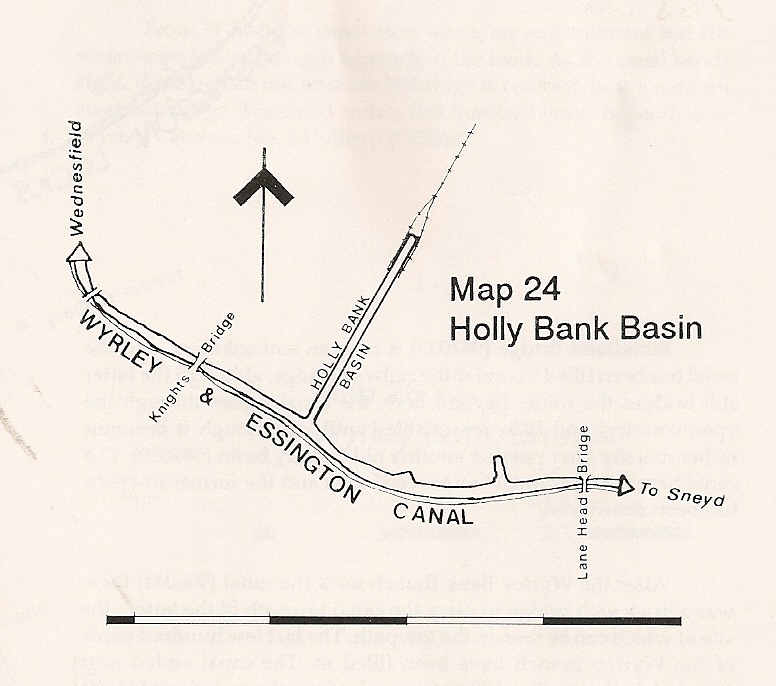 Following my recent post about the Hay Head Arm I realised that I had overlooked a fleeting visit to Holly Bank Basin, also known as the Short Heath Branch which is rather confusing. I am never sure if this is a lost canal as its status seems to oscillate. For many years this railway interchange basin was silted up and then in the 1980's the local council dredged it out allowing Richard Chester Brown to deem it navigable. He cant have been too confident about this status is it was includes in his tally of "The Other 60 Miles" and sure enough six years ago I made an unsuccessful attempt to penetrate the silt and weed barrier and the mouth. This is a useful layover spot for workboats so it has again been dredged and is open for business as evidenced by this photo taken during the 2012 BCN Marathon Challenge. 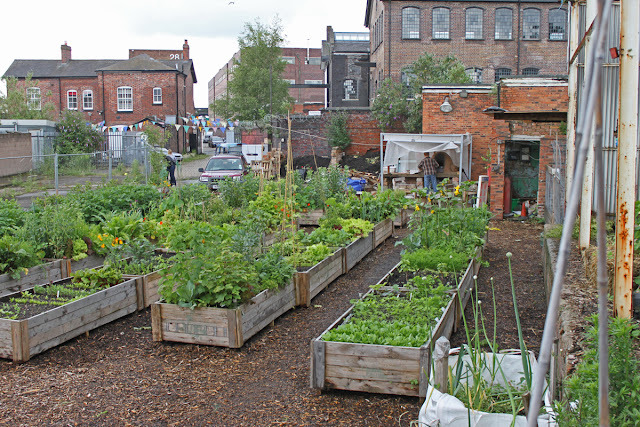 If the weed growth puts you off have a look at Laurence Hogg's workboat Barnet as he entered in April 2010. So enjoy it whilst it is navigable. Its a rather nice spot and a mooring I would use if I was in the area. But I am not putting any money on it being still navigable in five years time! 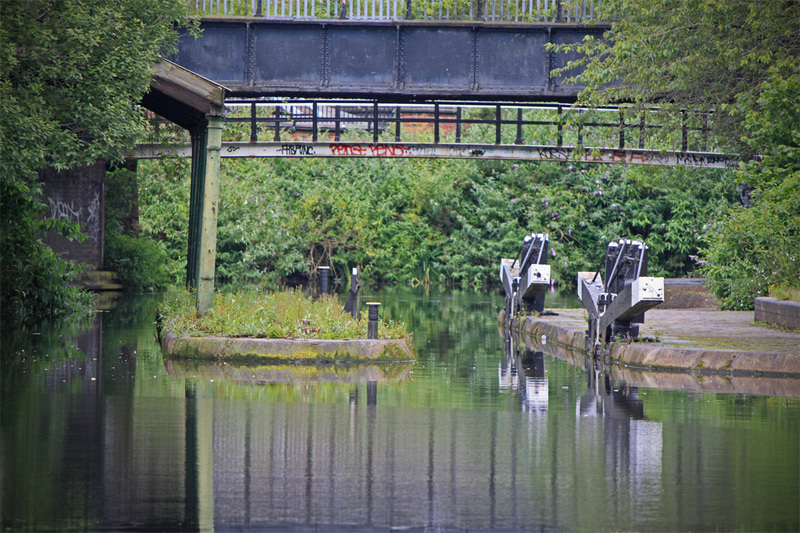 Whilst I am referring to this as an arm, for a long time this was the busy terminus of the Daw (pronounced Doe) End Canal, a 5.5 mile lockless cut built from the Wyrley and Essington mainline at Catshill Junction in Brownhills in 1800. 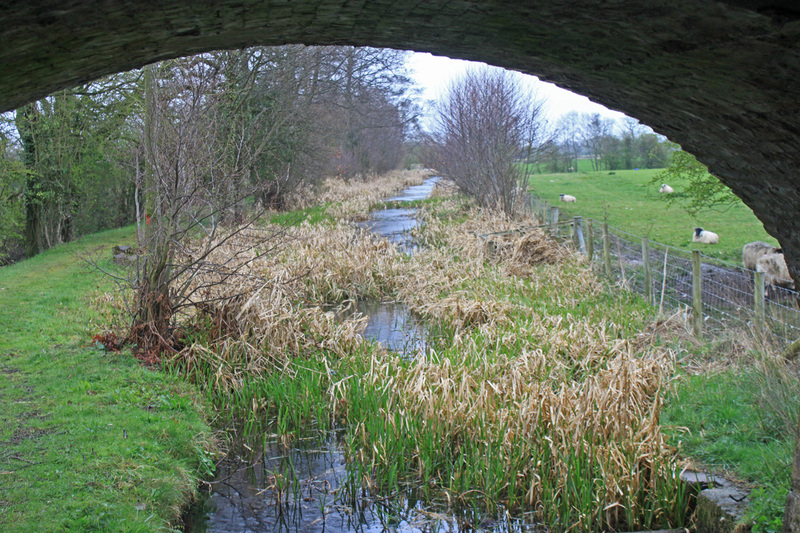 The reason this canal was built was to reach the limestone mines at Hay Head, a valuable source of flux for the local Iron industry, and later used as an adhesive ingredient in cement manufacture. A stub of the canal remains navigable, dredged out by some boating enthusiasts in the 1960's and now forms the secure moorings of Longwood Boat Club, one of the few active boats clubs on the BCN. 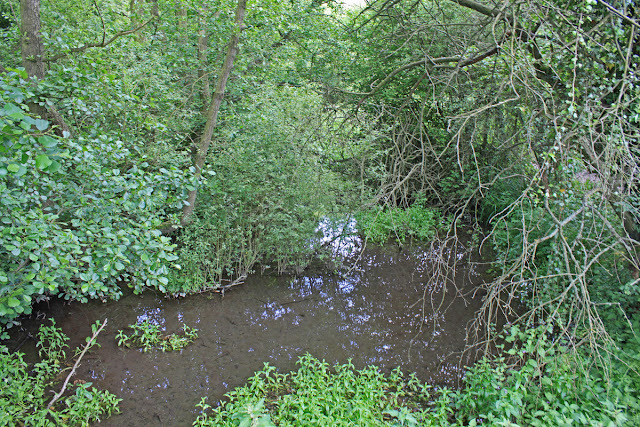 This navigable channel is terminated by Longwood Lane, a wide modern road with a buried drainage pipe replacing Squash Bridge which was destroyed in the 1930's. 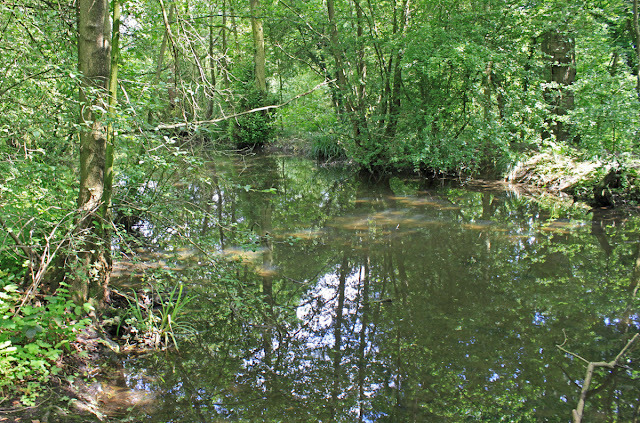 Beyond the road there are an extensive network of channels and basins which form the heart on the Hay Head Nature Reserve, established in the late 1990's. 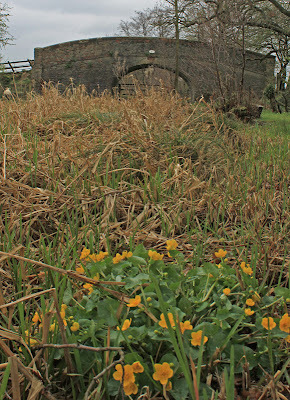 The terminus status was lost in 1847 when the Rushall Canal was built (under protest) connecting the Daw End Canal with the Tame Valley Canal under what is now Junction 7 of the M6. Today the nature reserve, and the adjoining Aldridge Airfield site is a popular spot for the locals, walking, cycling, flying model aeroplanes or simply enjoying the wildlife which has colonised the old industrial workings. 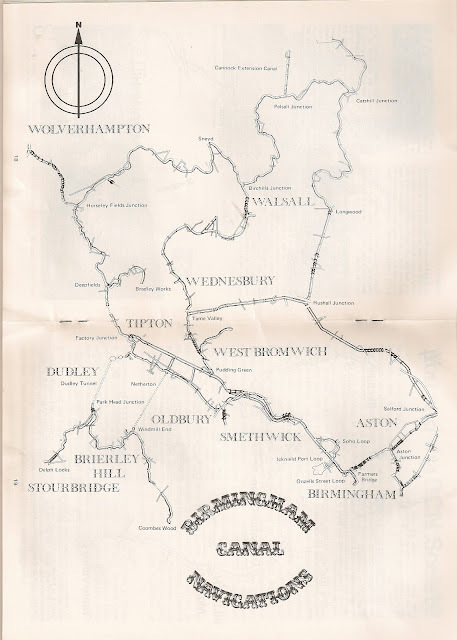 The first edition OS maps from 1886 suggest that even then the site was inactive but it was certainly abandoned completely in the 1st decade of the 20th century. 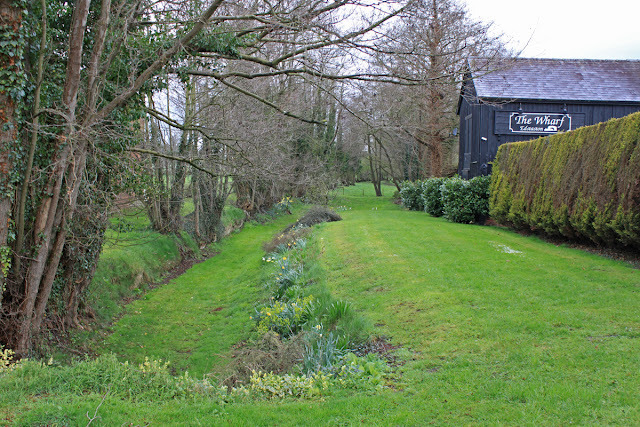 Today you can wander around what remains of the old basins on well made footpaths, sniffing the heady aroma of Wild Garlic (April to June), collect Elderflower and Wild Honeysuckle in season and round off the summer with a punnet or two of succulent Blackberries. 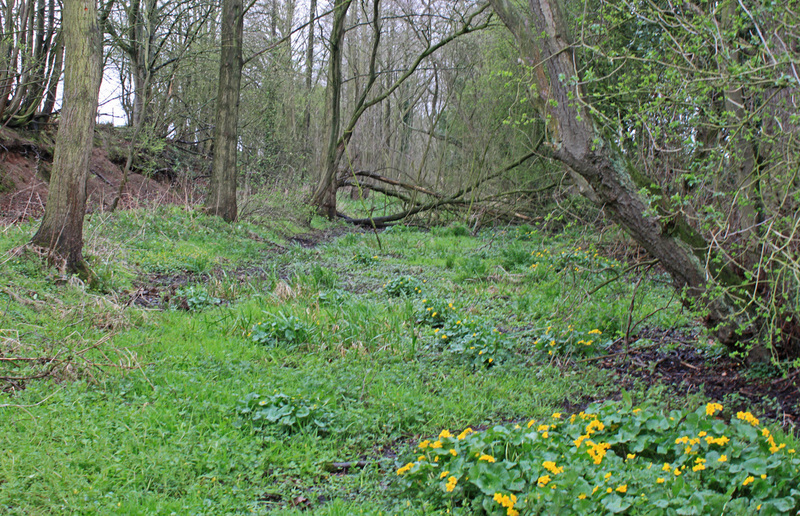 But mind your step - the area is riddled with old mine shafts which exist to trap the unwary. Maybe its best to stick to the paths! Parking is best at Aldridge Airport off Bosty Lane as the reserve car parks have been closed due to "antisocial behaviour". If you are curious about the nature of this behaviour an internet search quickly brings you to a site called "Cruising Gays" - nuff said! 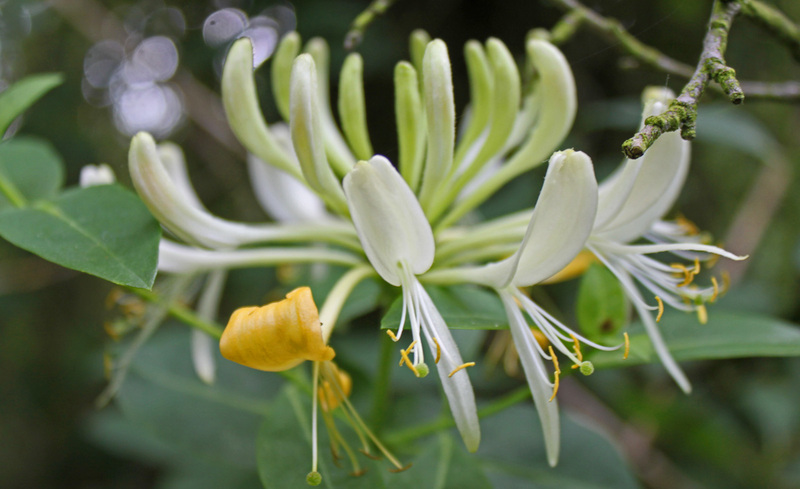 Newbury was the latest destination for the Wildside Preserves bandwagon. At last the weather was fine and a good crowd virtually guaranteed, so we packed the car the night before and set off ready for a bumper result. The festival is held in Jubilee Park, a site close to the centre of town, adjacent to the Kennet and Avon Canal and immediately opposite the Kennnet and Avon Trust's HQ. All in all its a lovely location, flat grass with good access, surrounded by trees and with a lovely circular boating lake at its heart. 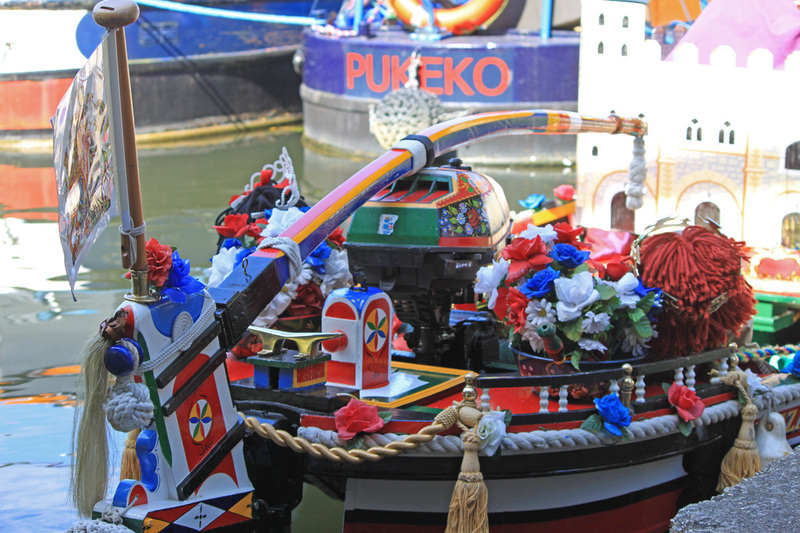 The slightly odd thing about this festival is the minimal "canal" dimension. It is really just a town fete laid on by the canal society. 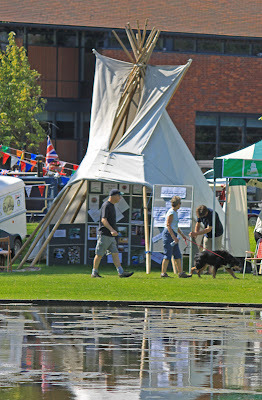 OK, the local canal trusts were represented but walking up and down the stalls it didn't feel very boaty, and when we mentioned making jam on Wand'ring Bark the customers looked nonplussed. 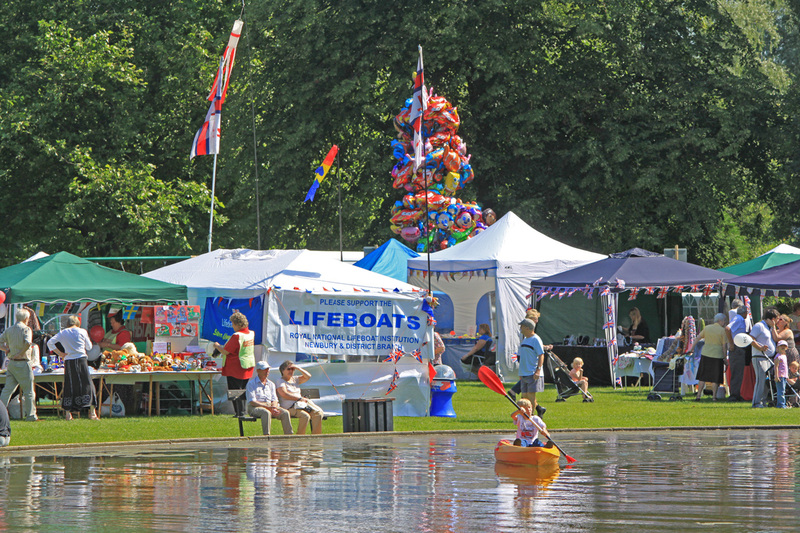 Whilst there were maybe 15 narrowboats moored up I cant see that this is really a boaters event, not that that matters for Wildside - everyone like jam! The problem was that there must have been seven or eight other preserve stalls and there is only so much jam the festival goers want to buy. 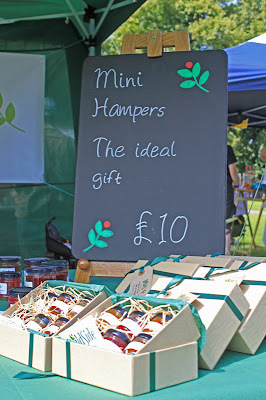 Not that we are grumbling, we have been plugging our mini hamper gift packs which sold really well, and people loved the whole foraged dimension so out days sales were at the upper end of what is usual. Hurray for diversification! A thought for festival organisers. If you want stallholders to return you should try and limit the number of competing stalls or the market isn't enough to go round and the event becomes non viable. I am not suggesting that anyone has exclusivity but maybe three of the same thing is more appropriate. That said we did OK, had a great day out in the sunshine and made a lot of friends. 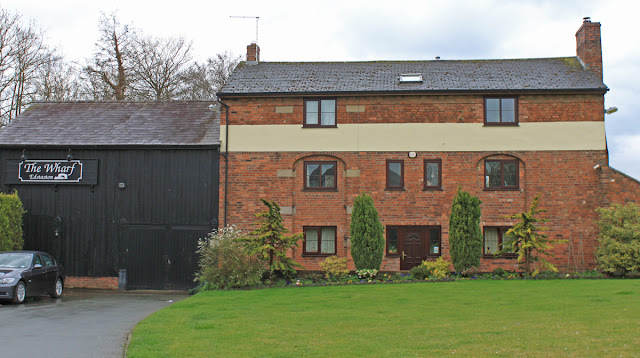 Next stop Blisworth in 10 days time. 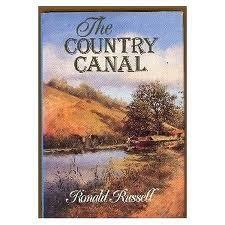 My haul of canal books from Lyme Regis included Ronald Russell's 1991The Country Canal and I very nearly didn't buy it. Books on canals can be samey and there needs to be a fresh perspective if they are to command attention. 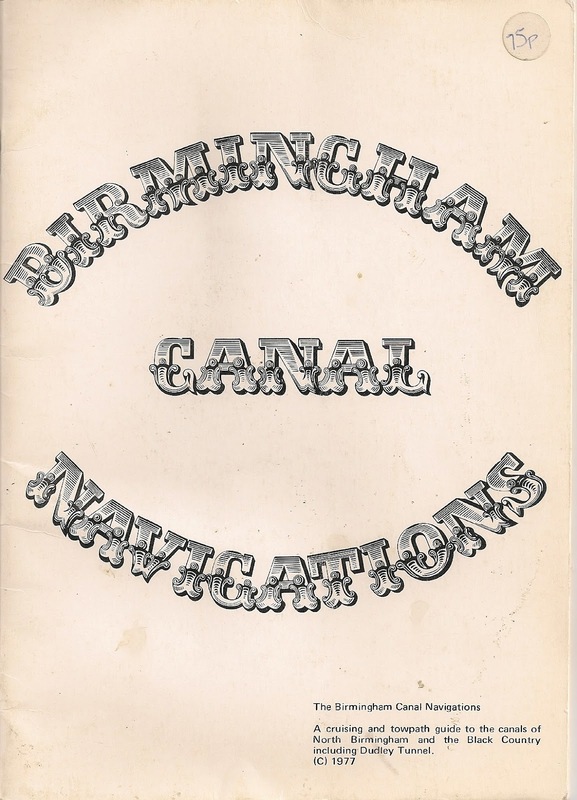 As it turned out the book is quite quirky, following Russell's curiosity in a number of canal related directions, but all with an eye on the country canals as opposed to their more urban counterparts. 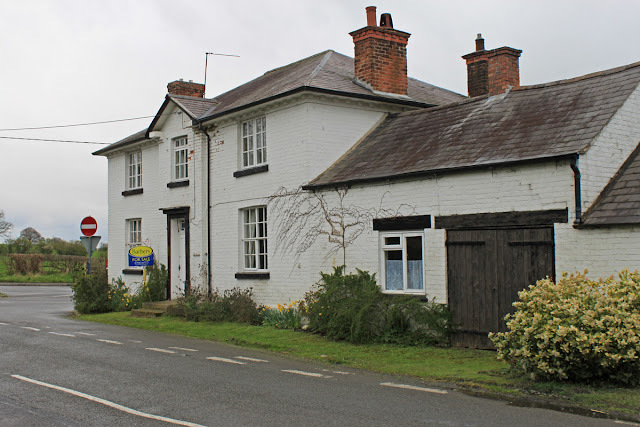 First he sets about describing the birth, maturity and decline of a canal from the perspective of the impact it had on a fictional country village through which it passed. We were given a glimpse of Brindley surveying the route, this engineers getting the job done, problems with resistant landowners, cash crises ad the ultimate decline in the face of a new railway. All very readable and an interesting way of approaching a well worn path. Then a complete change of direction and we head east to the fens where we explore the impacts of Vermuyden in the mid 1600's. These are the lonely miles of the Middle Levels which may lack prettiness but provided essential navigable routes in and out of the area as well as drainage channels. He clearly has a real heart for the fens and its an area about which not a lot has been written. Having exhausted the Fenland backwaters he indulges in his passion for the lost canals, focusing on those in the south erst and the north east, revelling in his exploration if the less successful country canals in Somerset, Devon and Cornwall which extended for over 150 fragmented miles. This is all interesting, if whimsical, stuff if you like tracking down the lines of long lost canals, and offers some good reference material. Perhaps the weakest aspect of the book is his forward looking homily at the end. Ending books this was is never a good idea and becomes dated almost as soon as it is written. He ends positively and I get the impression that he is keen to be done with the writing and get back out there, splashing his way along some God forsaken creek in search of some fragmentary remains abandoned a century and a half ago. 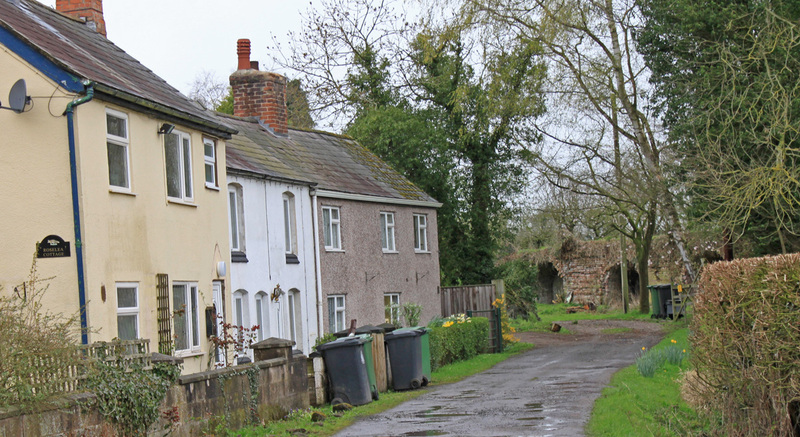 After a bit of a slog up the B5476 I finally arrived in Quina Brook, a once thriving hub which included a inn, coaching station, canal houses and of course a substantial array of lime kilns which were raison detre of the canal's existence. Well, Actually the plan was to reach Prees itself but having reached the kilns of Quina Brook in 1806 they were out of money and out of enthusiasm. 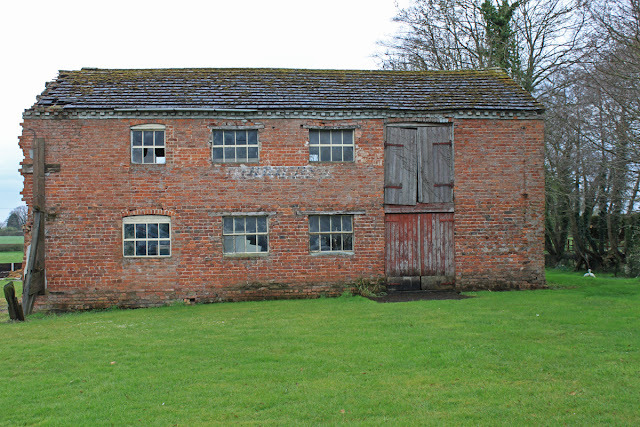 Even in the driving rain it was easy to get a sense of purpose about the place, a hive of industry hiding beneath a rural veneer. The thing which puzzled me was the source of fuel for all these kilns. 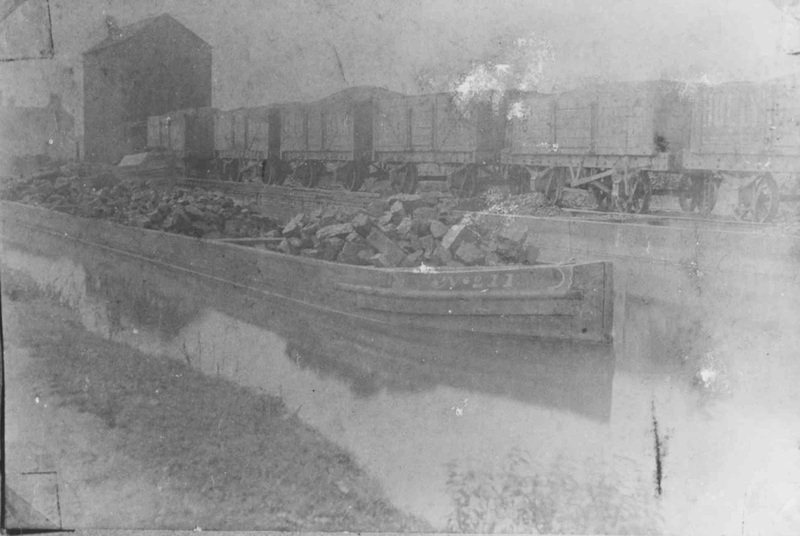 I am not aware that there were any coal deposits in the area so I guess it was all brought in by canal. 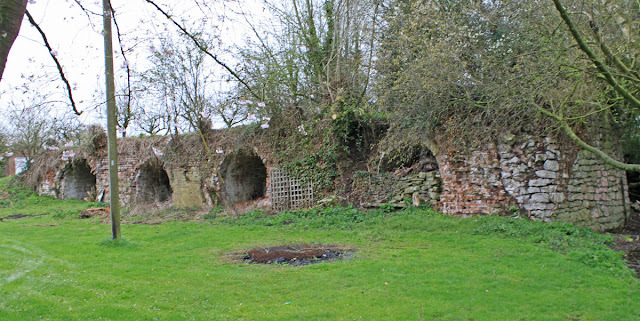 The site comprises nine lime kilns, four which are collapsing in the garden of a house which stands on the line of the canal and a further five in a low bank nearby. These second five are in a poor state of repair but two draw pits remain intact giving a good idea of the scope of the enterprise. Last Sunday saw us at the Edible Eastside summer fete, part of the Birmingham Food Festival and all rolled up into a celebration based on the new inner city garden project in Digbeth which occupies the old FMC offices and backs onto Warwick Bar. 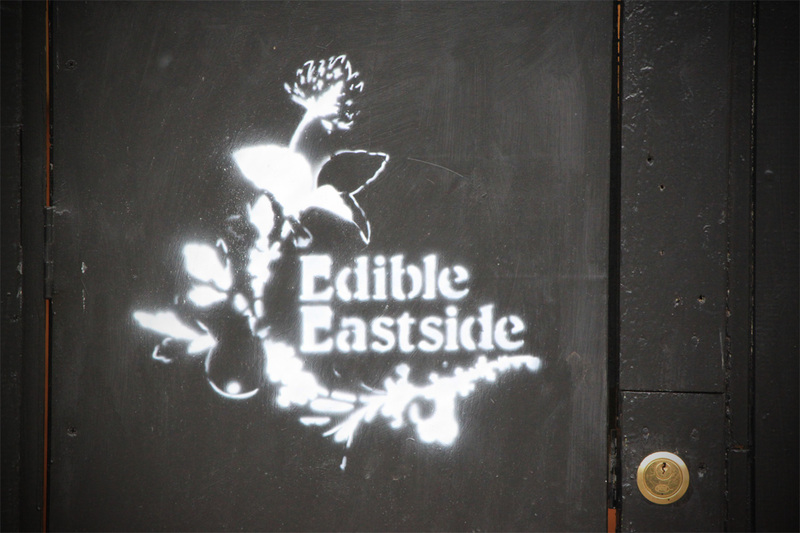 If you recall, Belle went to Spain in the spring with Edible Eastside and this experience was a key trigger in the creation of Wildside Preserves. 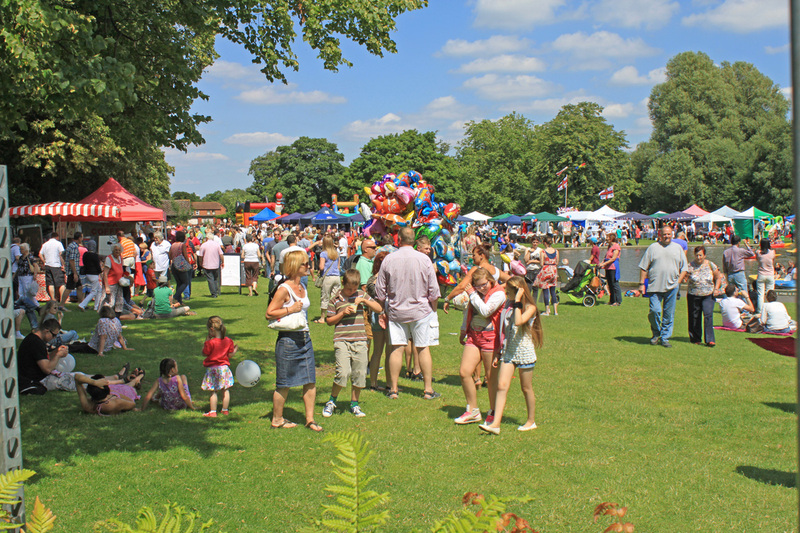 So attendance at this event was seen more as a display of support than a money making opportunity. To be honest, no one knew what the attendance would be like and by 2.00pm the organisers were sidling up to us to see if we had actually sold anything! 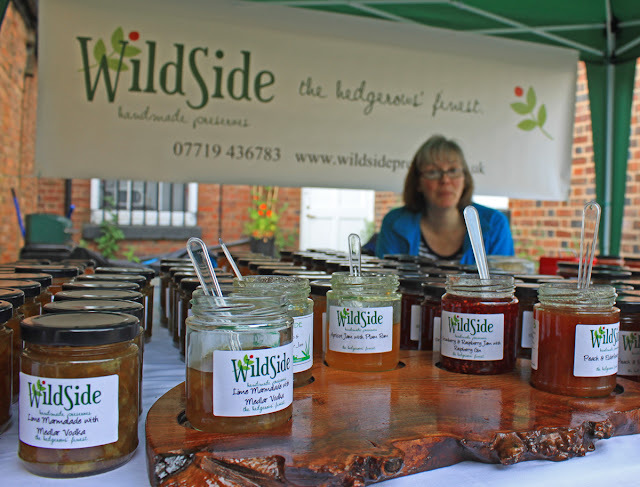 Sold anything.... on an hourly basis we probably had the briskest day yet, with a steady stream of visitors keen to try Belles Preserves and most crucially, to buy jars to take home with them. Some peoples enthusiasm does go too far. There is always one child who gets fixated with the jam and returns again, and again, and again scoffing the scones and downing the red jam (its always the red jam!) Asked if he liked the jam he happily told us that he liked it because it took away the taste of everything else from the other stalls. Maybe not a testimonial for the website. 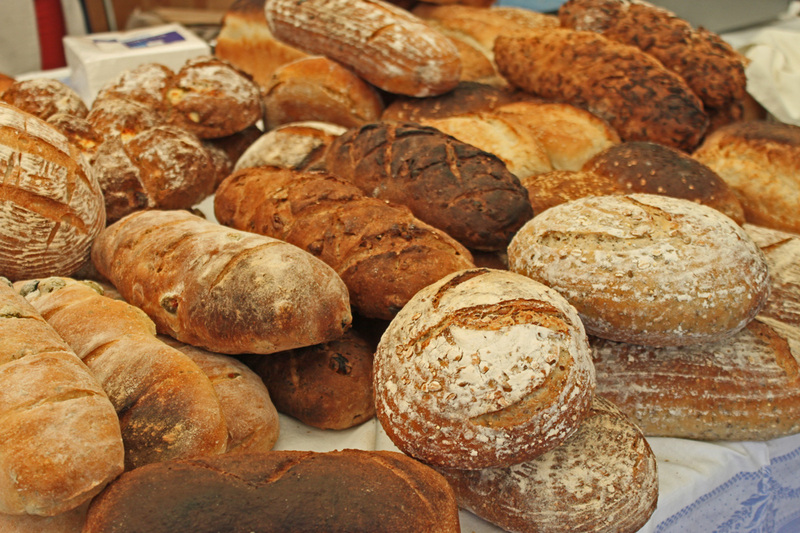 So the day zipped by with friendly stallholders around us and none more so than Albert and his amazing bread. Albert, nurse, sometimes stand up comic and inveterate baker attended with a stall crammed with all sorts of speciality breads - all cooked in his domestic oven in his flat. Lets just say that the other stallholders had made serious inroads into the bread before the public were allowed anywhere near it. 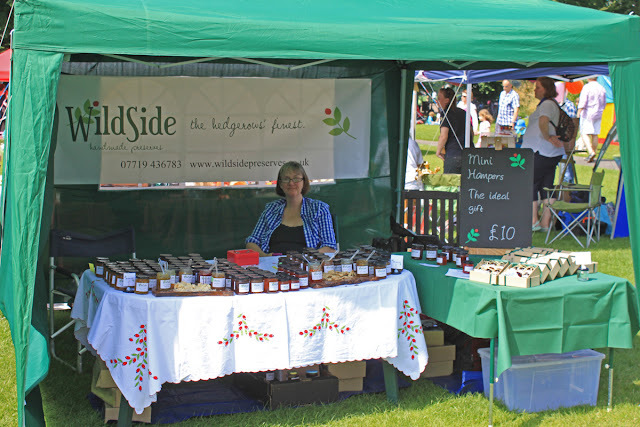 The stock of jam on the table dwindled and the cash box swelled - just the way we like it. 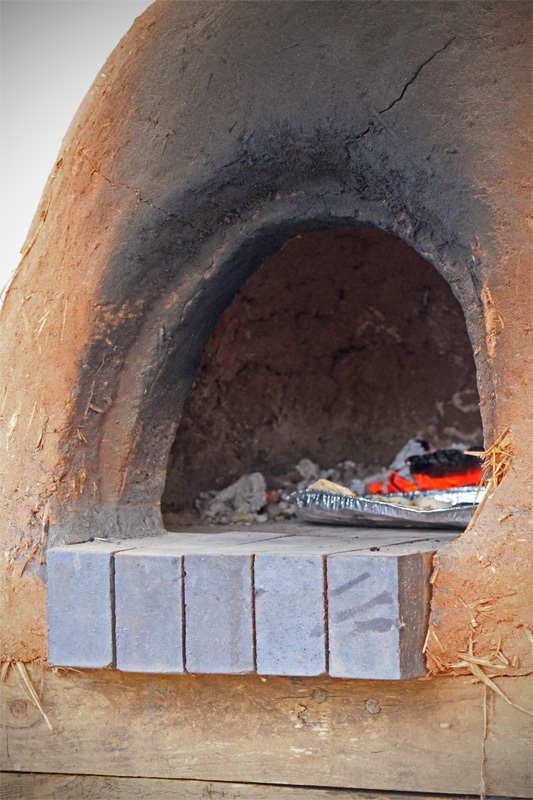 The day ended at about five at which time we joined the the organisers and stallholders in a celebratory bottle of beer and some pizza cooked in a genuine clay oven out at he back. Not a bad way to spend a day. Hmm, a blog post about a missing bit of canal - thats a challenge. 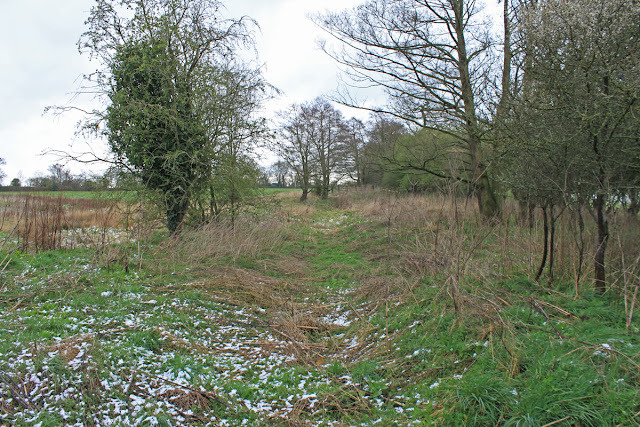 This far end of the Prees Arm was the first to be abandoned and is both the least distinct and the most inaccessible. But all is not lost - there are more roads which provide some decent opportunities to cross the line here and there. First up the canal loops round a small hamlet and surprise, surprise, an old wharf store lovingly restored by its owners and the canal bed visible next door. I was told that there is an original crane inside but sadly all the locals were attending a funeral so there was no chance to ask for a look. The canal then crosses the road and heads east, its line being used as hard standing for the local coach firm. The line then strikes off but is tantalisingly out of reach. I skirted round on the B5476 which runs parallel to the route but failed to find a credible way to cross the line again. Even more frustrating was the knowledge that Edstanton Park Farm sits on the route and a subsequent look at Google Earth reveals an oblong pond - you guessed it - exactly on the canal line! 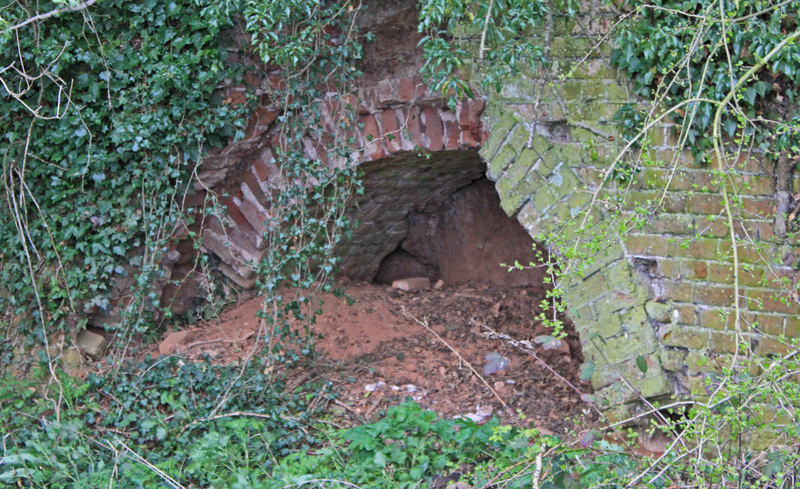 From there the route is very indistinct to Quinta Brook - site of an extensive set of line kilns built into the low cliffs. 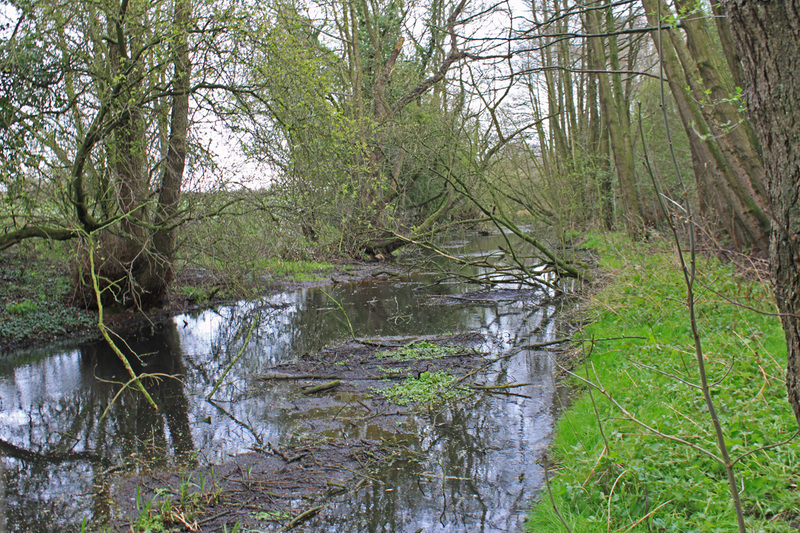 The first mile of the hunt for the abandoned section of the Prees Arm lulled me into a false sense of security. 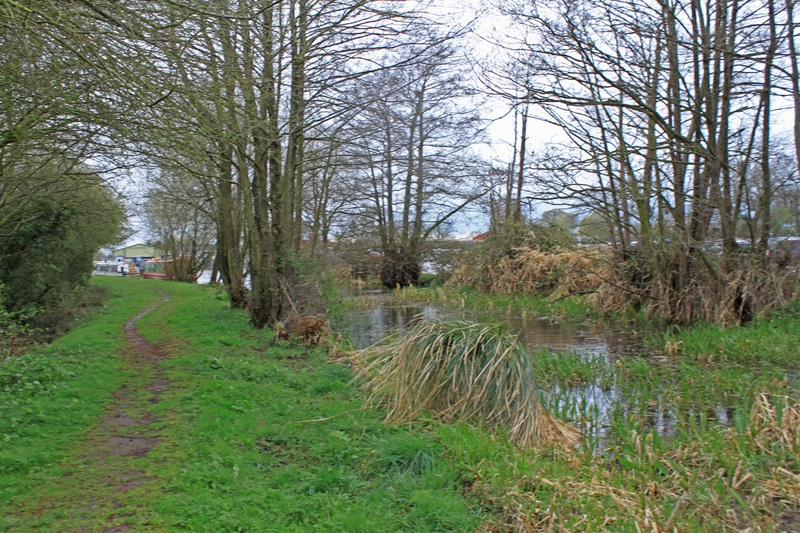 Those first furlongs had been on a well maintained towpath, but as the water ran out so did the towpath. 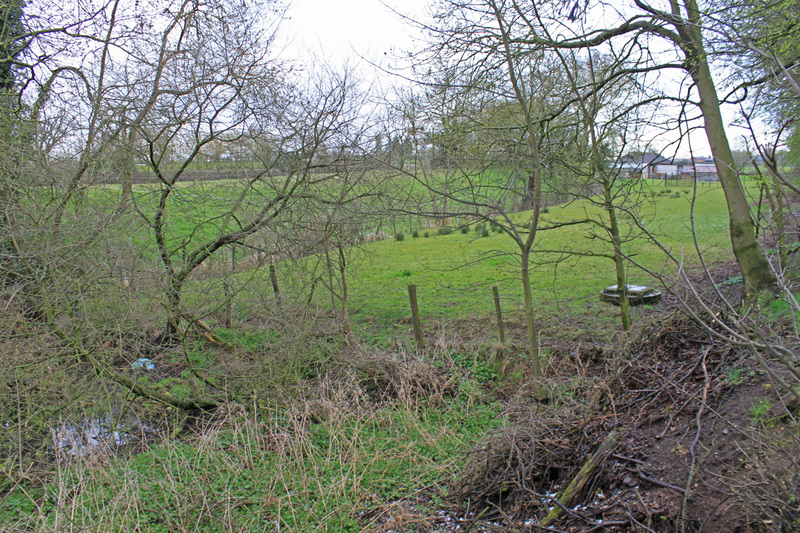 There was a hopeful looking sign which suggested a parish footpath along the old towpath, but it was all so overgrown it was soon apparent that progress would be impossible. Instead I resorted to the adjacent road with the aim of picking up the route wherever possible. 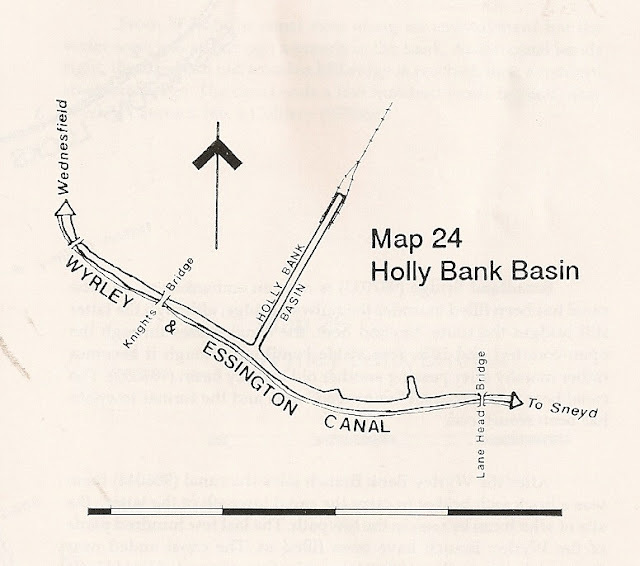 Before long an earth bank had been pushed over the line, giving easy access to Jubilee House but then the road diverts away to the north, tracing but never touching the line of the canal. If I am to follow this route I am going to have go "of piste" for a while and hope to regain the road at the next crossing about a mile ahead. The start was promising. The canal bed was intact, even in water here and there and an intermittent towpath offered a reasonable rate of progress. 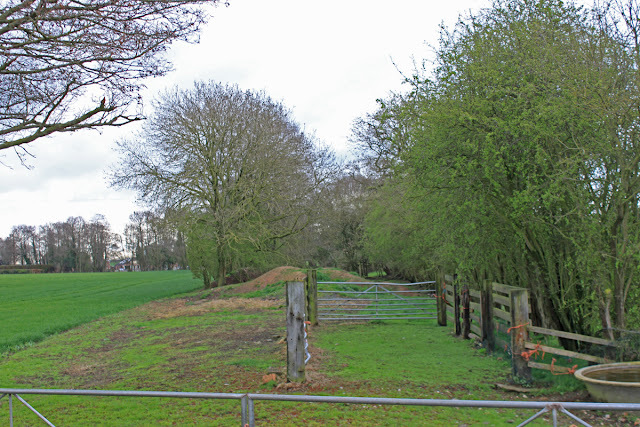 The path became less distinct after the first two barbed wire fences (I wonder why!) but having gone so far I had kind of passed the point of no return, so it was a case of pressing on and seeing what I could find. 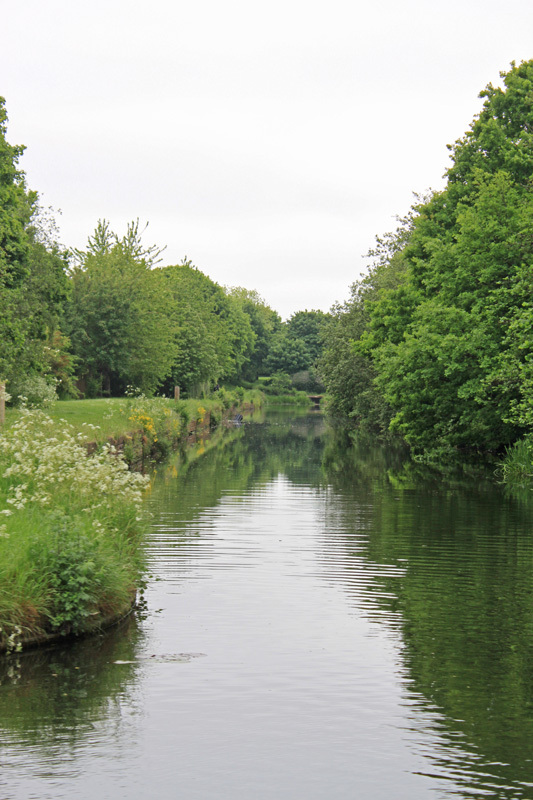 The canal stretches on in a generally south easterly direction, tree lined and often in a shallow cutting. It still serves as a drainage ditch, although this has been cut into is base and progress is mostly along the dry bed either side of the stream. 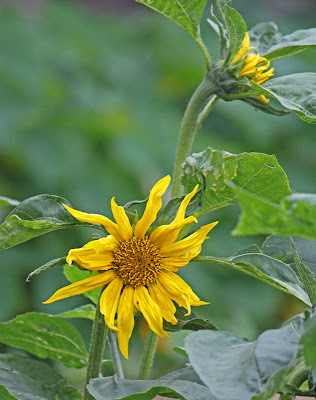 The problem is that as well as becoming wetter and wetter underfoot, and the undergrowth denser and denser, It was becoming really remote with just a couple of farms to keep me company. It's the sort of place I seriously worry about being taken for a wild animal and shot at, in spite of my bright blue coat. My saving grace was the weather - who would be out in this sleet? I finally came to a stop about 400yds short of the old bridge crossing I had been aiming for. The can had been ploughed in and barbed wire fences hemmed me in on all sides. 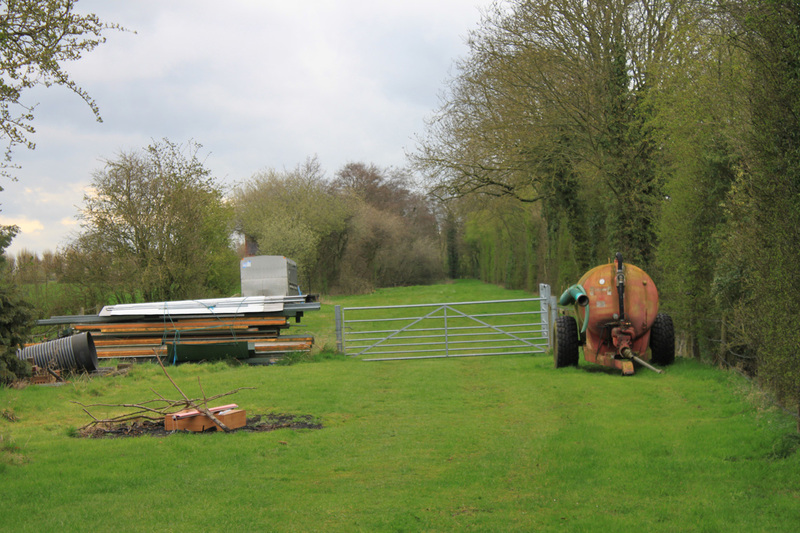 I would have tried to make a bid for freedom through an adjacent farm but the canal bed was too wet to cross. In the end I struck off to the south, crossing pastures in the hope of hitting a country road my Blackberry GPS suggested was nearby. 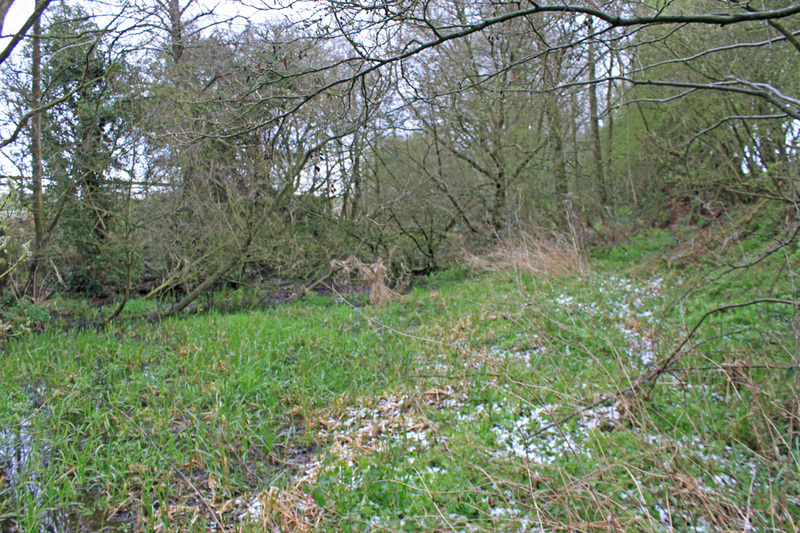 Success - I found the road and followed it round to the old canal crossing and so completed this obscure section. A word of warning. 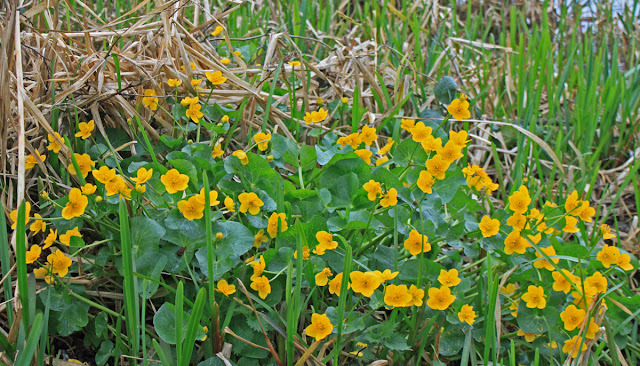 Going isn't easy, even in April before the undergrowth comes up and the route would be impassible later in the year. 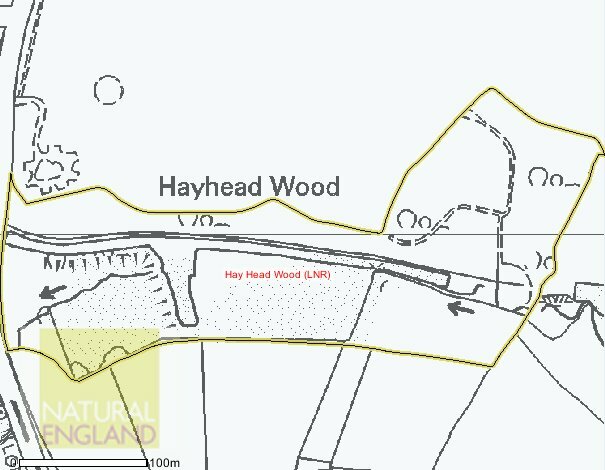 Of course, there is also the added complication that it is all on private land with no public rights of way either along or across it so one has to adopt a somewhat progressive approach to the rights to roam if you want to explore this bit! You will remember that over the winter I explored the remains of the tub boat canals which connected the Coalbrookdale coalfield in and around what is now Telford. 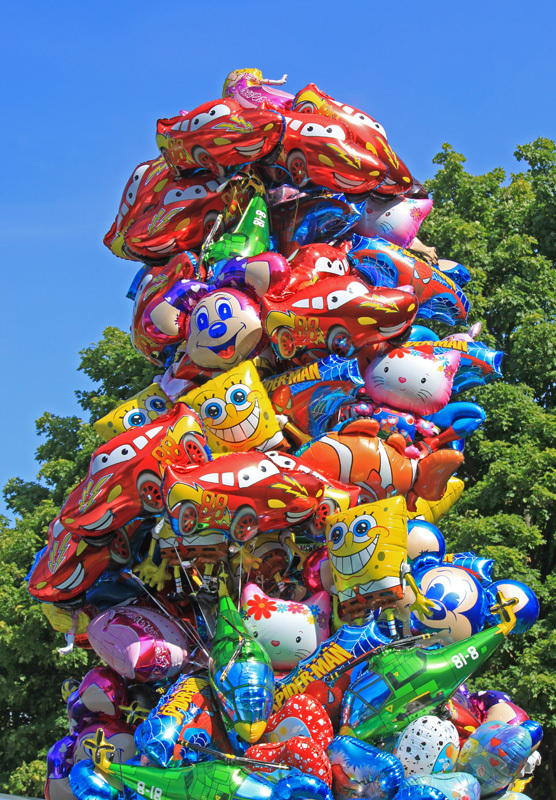 Come to think of it, the series of blog posts went on so long it was rather hard to miss them. Well, I was asked to condense my findings into two parts for publication in Waterways World, with the first part hitting the news stands last weekend (August edition) with the second coming out in September. So, if you found the torrent of blog posts in the spring was a bit too much of a good thing you can now catch a precis version in print. Beyond the navigable section leading to Whixall Marina there is about a mile of in water canal, but cut off from the rest of the watered section by a mud berm (no Inspector Clouseau jokes please) and a bank of reeds. The waterway is referred to as Shropshire's longest pond and the associated towpath offers an excellent nature walk, the clear waters supporting an array of unusual plants and animals. But not all parties are quite as enthusiastic. 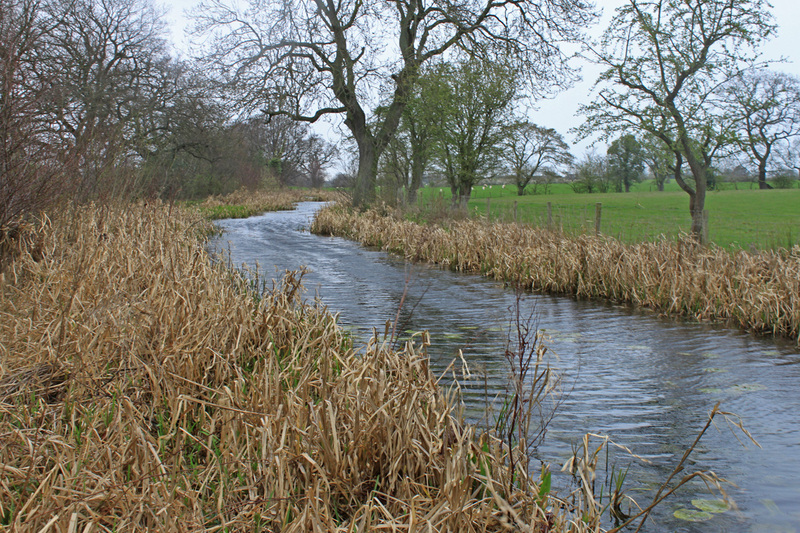 The Prees Branch Canal is a side arm of the Llangollen which runs from the south side of Whixall Moss towards Wem. It was never completed and part of what was built has now been filled in. 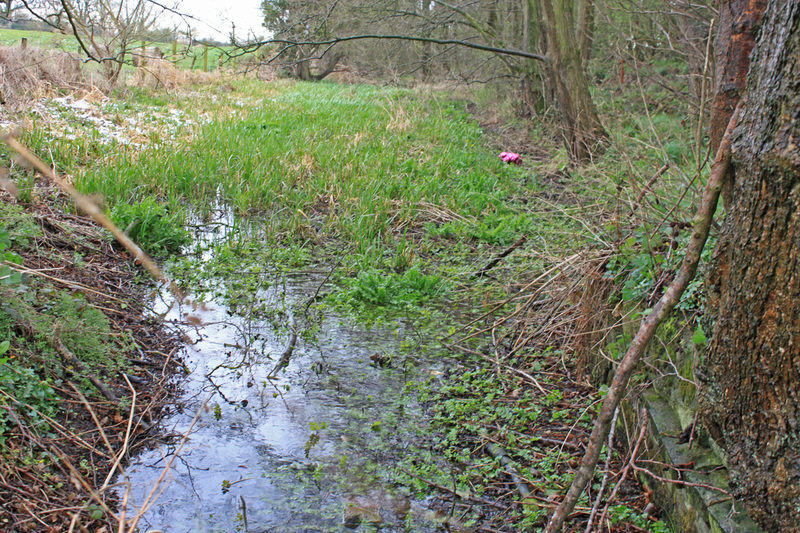 In the 1960s it was found to have a rich flora, including Frogbit, Red Pondweed, Needle Spike-rush, Flowering Rush, Butomus umbellatus, and the hybrid sedgeCarex x boeninghauseniana - the only place where this particular hybrid has been recorded in the county. 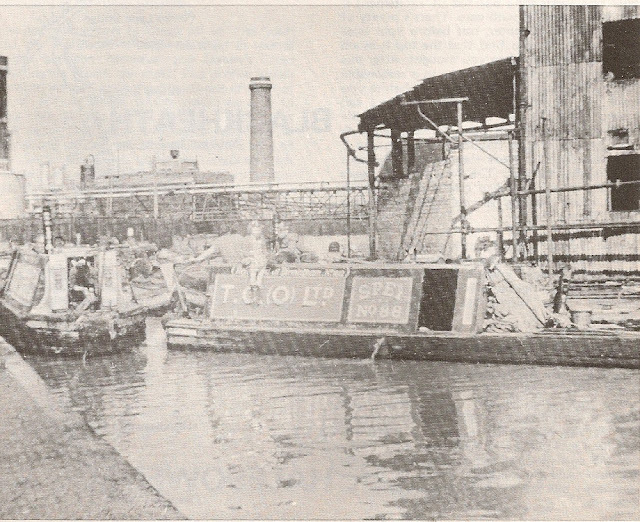 But in the 1970s an ideological battle was fought over the development of this canal for a marina, where boats using the Llangollen Canal could dock. 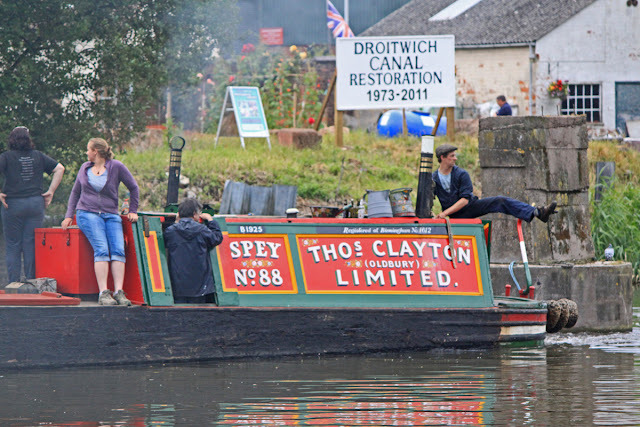 It was argued, successfully, that development would not harm the ecological interest of the site, and the Shropshire Wildlife Trust ended up with the southern end of the canal while the marina went ahead. Subsequently, all aquatic plants promptly disappeared from the marina and the northern parts of the canal, whilst even the reserve has subsequently and steadily declined in quality. 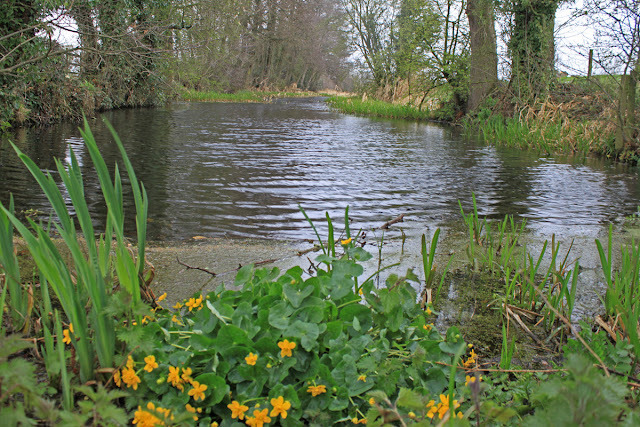 It still has Tubular Water-dropwort, Oenanthe fistulosa, and water-violet,Hottonia palustris, but the Frogbit seems to be on the verge of extinction there. This is perhaps a lesson to be remembered for future debates on the consequences of restoration. 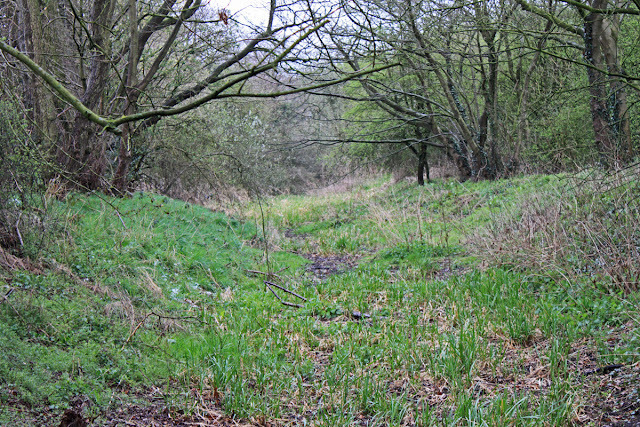 The watered section ends abruptly with Armco piling crossing the canal bed after which the canal bed runs dry, as dry as a bone, crossing the line of a country road. At the time of my visit sleet was driving across the canal closer to horizontal than vertical, numbing my face and finding every chink in my waterproof armour. 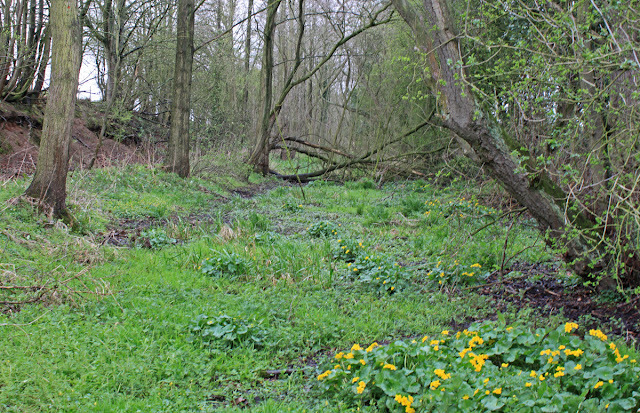 I figured that I would have the place to myself but even in such atrocious conditions I passes an elderly couple who greeted me cheerily and explained that it is their habit to hake a country walk every Wednesday, come rain or shine. This water park, no matter how denuded it is claimed to be, offers a pleasant walk from Whixall Marina. Even if you get no further along the line of the Prees Arm, this is a walk not to be missed.